When I went to JR Nagoya Station, I took a stroll in an underground shopping center Esca, because it is located close to the station. In Esca, there are tons of Nagoya food restaurants. Nagoya food is known for its strong taste, and many dishes use miso (fermented soybean paste) and soy sauce (fermented soybean sauce). I had lunch at a famous misokatsu restaurant chain, Misokatsu Yabaton. Misokatsu is pork cutlets with miso sauce that is a typical Nagoya food. This is the first restaurant to serve misokatsu in 1948. It is very popular and maybe you need to wait in line at lunchtime. I went there around 2:00 p.m. on Tuesday, and I did not wait at all on that day. 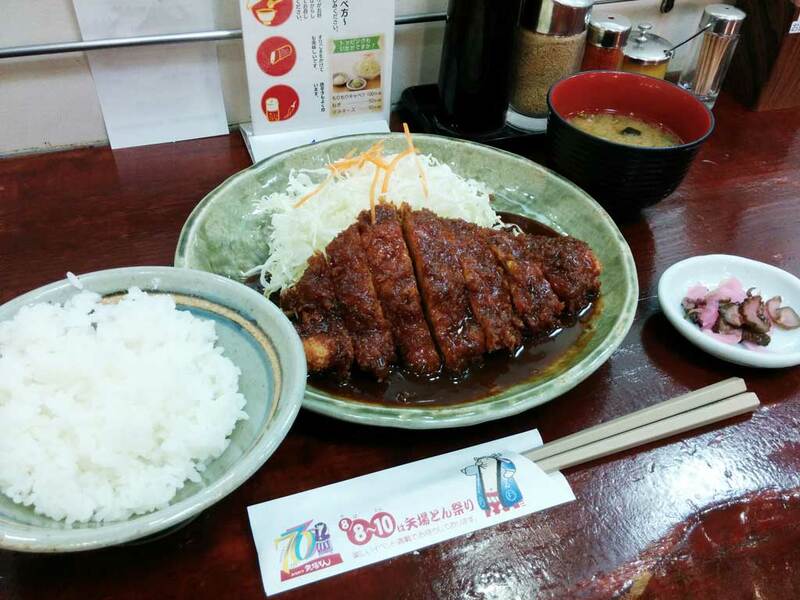 If you can eat a lot, Waraji Tonkatsu, doubled loin cutlets with two kinds of sauce, can be the best choice. I ordered a combo meal of a lois cutlet dish, rice, miso soup and pickled vegetables. You may be surprised when a server pours miso sauce over your cutlets in front of you, because it looks like you have too much sauce. When I went there for the first time, I was worried so much! Actually, the flavor balance is perfect. I understand why this sweet miso sauce is loved by millions of fans of misokatsu, though I prefer typical Japanese sauce for cutlets because I’m from the western Japan. On the table, there are seasonings and instructions on how to eat the cutlets. First, eat one piece without any seasonings. Then, put mustard on another piece. Next, add ground sesame seeds. Finally, sprinkle red pepper flakes if you like. Try these and find your favorite. At Esca, you can eat many other Nagoya foods, such as hitsumabushi (grilled eel on rice), kishimen (flat and wide noodles) and so on. Also you can eat miso-nikomi udon (udon noodles stewed with miso) at Yamamotoya Honten, tebasaki (deep-fried chicken wings) at Furaibo and giant ebi-furai (fried prawns) at Ebidote Shokudo. Moreover, there is Komeda’s Coffee, too. 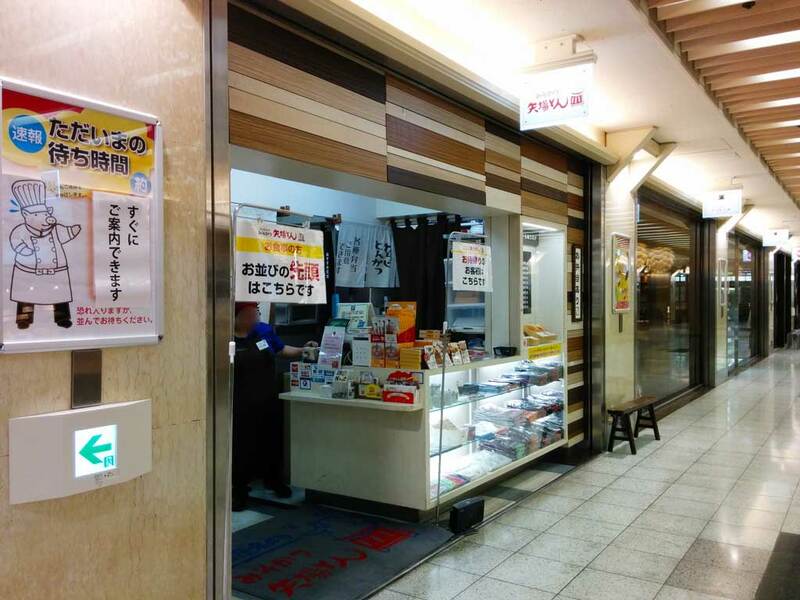 It is very famous as a Nagoya’s coffee chain. Nagoya has an interesting culture of morning coffee―If you order just a coffee at a coffee house, usually you can have a big breakfast as well, often including toast with red bean paste. 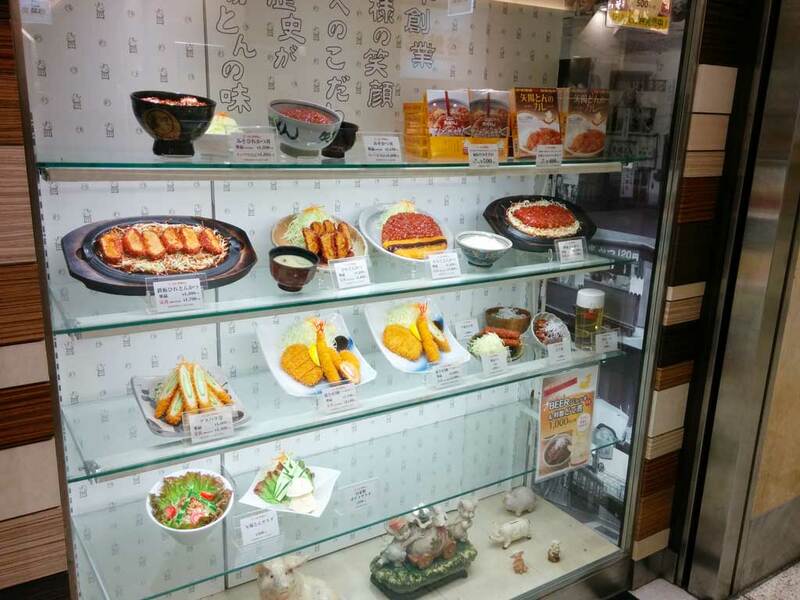 It is fun to learn about Nagoya through food. If you are interested in misokatsu, you should go to Misokatsu Yabaton. 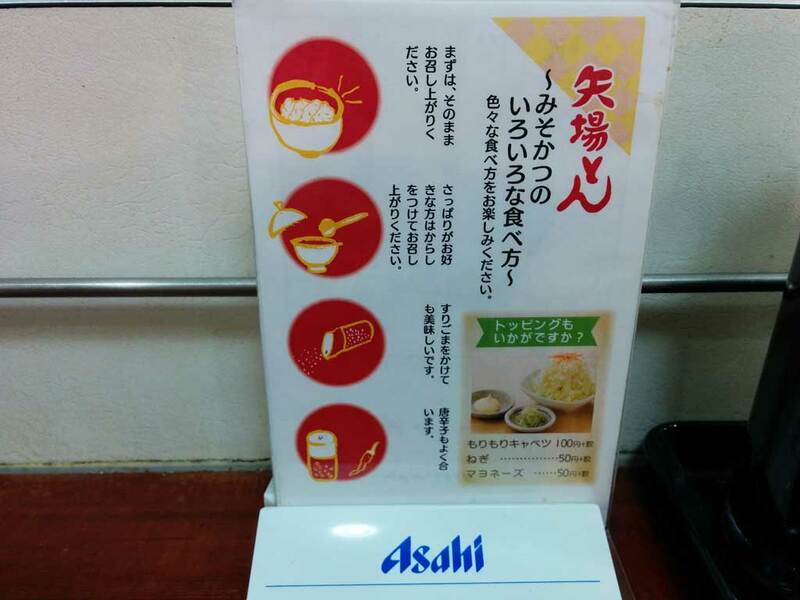 Enjoy food, enjoy Nagoya!